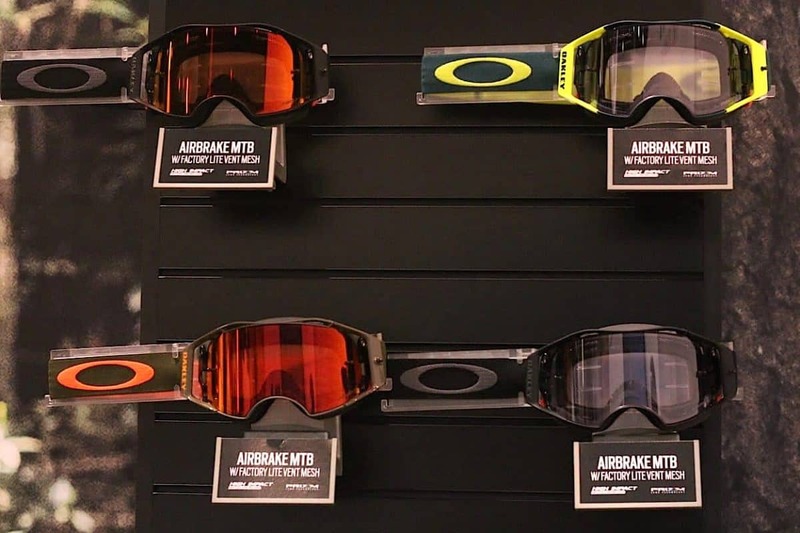 Oakley debuted a new line of MTB gear to follow their road gear announced last year. The all-new DRT5 helmet is feature rich and comes with the stamp of approval from legendary downhill racer Greg Minnaar. 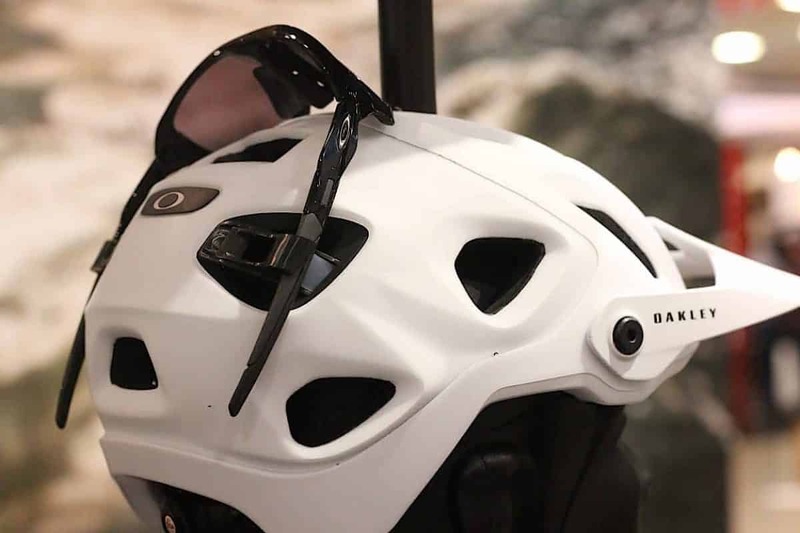 Along with the new DRT5 helmet, Oakley launched riding gear as well as mountain bike specific goggles. The DRT5 helmet features a MIPS liner for safety and a TX1 Lace retention system with BOA for a secure fit. Furthermore, the lace system allows for less interference with sunglasses. A sweat liner was then added to the front of the helmet eliminating the need to wear a sweatband. Oakley is well known for their eyewear, so incorporating a way to store expensive shades was a focus. The DRT5 features removable rear mechanical clips designed for just that. 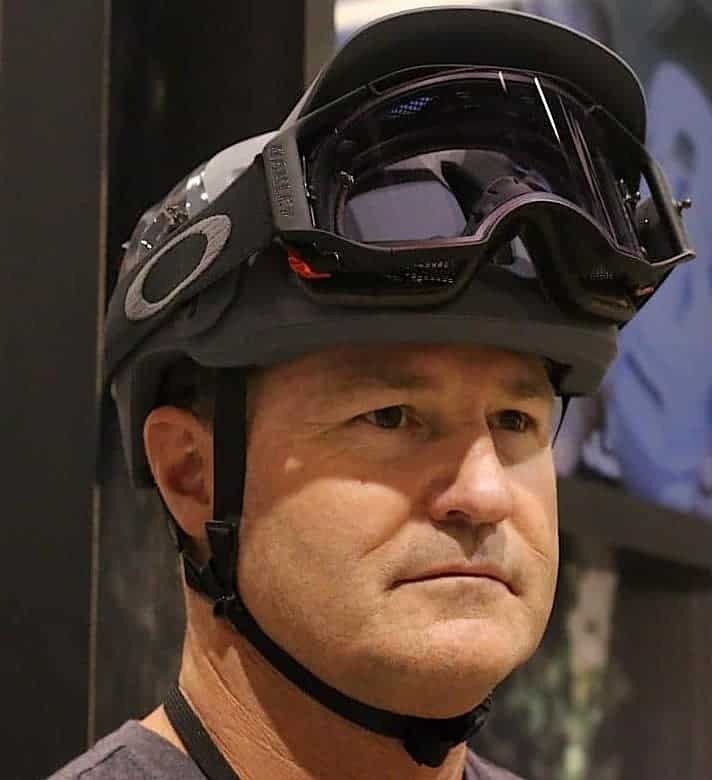 Oakley claims these clips can be trusted even over rough trails. Rounding out the new line of mountain bike gear, Oakley launched new goggles designed specifically for mountain bikers. 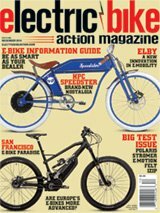 The days of wearing overbuilt moto goggles for enduro riding are long gone. Integration with goggles was another focus of Oakley. The visor moves way up out of the way allowing for storage at the front of the helmet. In our opinion, this solution works much better than flipping goggles around backward and then having to stop to put them on.